Tax season makes me cry, and this year will be no different. It’s not that I expect to owe the IRS a wad of cash. It’s not even the fact that I personally disapprove of many parts of the 2017 tax law. Nope, I’ll be crying because my husband Mike prepared our taxes every year we were married, and he’s gone now. He worked in the tax field and became a national expert. For him, it was a matter of personal pride to prepare those returns. He wrote them all out with a pen. And he didn’t use tax preparation software more than once, because that screwed some things up — like calculation of the foreign tax credit. Then without warning, he was gone (here’s an unusual recollection of that time from my daughter). Suddenly there I was, facing a slew of family crises alone. And, oh yeah, June’s estimated tax payment was due soon. likely cheaper options out there. So the afternoon after the funeral, my daughters and I pored through boxes and stacks of paper in his low-tech basement man-cave area. Futilely, we searched for something that would tell me what the first-quarter’s payment had been. And while a review of the checkbook register showed we had paid what was owed to the IRS for our return the preceding year, there was no separate entry for a first-quarter payment. At long last I found a memo from Mike to his business partners, explaining a method of annualizing those estimated tax payments. Good news: I wasn’t in trouble because we didn’t pay anything for the first quarter. More good news: Mike’s writing was clear and understandable. Bad news: I would still have to figure out a payment. I made the federal and state payments. Then came the returns for the prior year. Those were due in October. I toyed with filling out the forms myself. After all, my first Harvard Law Review article was “The Foreign Tax Credit and Treatment of Payments by the Petroleum Industry to Foreign Governments.” I had even written a now out-of-print book on the U.S. tax system. But then one of Mike’s tax partners told me that he didn’t even mess with his own return because of the complexities involved. I took the partner’s advice and hired an accountant — someone whose firm had worked with Schedule K-1s for some of the other partners at Mike’s company. It cost me money, but it would have cost me more in lost income and even more in tears and headaches to do the returns myself. Early in March, I sent that accountant my stack of forms for this year. I’ll see whether I need to make any first-quarter payments. What does the death of a spouse mean for freelancers? First, a caveat — nothing here should be construed as legal advice. But I can offer a few tips and observations that even freelancers who haven’t gone through the death of a partner can use. 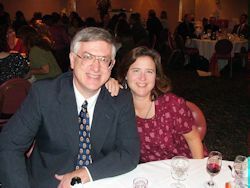 The author with her husband Mike prior to his death. A national tax expert, he prepared her freelance tax filings each year. Afterwards, she was left struggling with his absence, and her returns. As freelancers, our tax returns are inherently more complicated than those of people whose sole income comes from salaried jobs, where the employer takes care of withholding for income taxes, unemployment, Social Security and so on. If you’re married or if that status changes, your return is likely to be even more complicated. If you do business through some form other than a sole proprietorship, that may add to the complexity. There may be more issues if you have foreign income, regardless of whether you work as a sole proprietor, limited liability corporation or other entity. Don’t forget other sources of income, such as any investment interest or dividends or possible withdrawals from individual retirement accounts, or IRAs. Likewise, don’t forget deductions you might be entitled to. 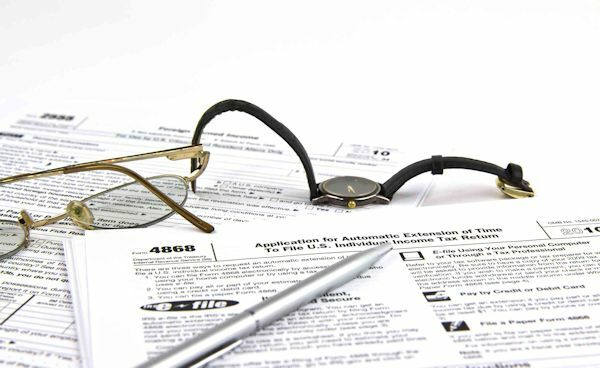 File Form 4868 for an automatic extension on filing your return if that would help. Just remember you still have to pay any taxes that are due in April. So either way, you still need to do some calculations and perhaps write one or more checks. Keep an eye on new provisions under the 2017 tax law. For example, the new provision limiting deductions for state and local taxes will likely penalize me here in Ohio, and I live in a modest home. The threshold for deducting charitable donations and some other expenses will also be effectively higher with the increase in the standard deduction. This might factor into some giving and spending decisions. Right now the drop in the corporate tax rate is supposed to be permanent, but the cuts for individuals will phase out after several years. If you have some flexibility in timing, think about how this might affect your decisions on spending or receiving income. Likewise, talk with a tax planner about what you can do now to try to reduce your tax liability for next year or beyond that. Last but not least, cry if you need to. For me, the topic of taxes will likely always be linked with grief. That’s sad, but it’s also okay. Mike and I shared our lives for a long time. Despite some sorrows and challenges, there was much more joy, adventure, fun and love. Still, scrawling my signature on Form 1040 will never be the same. Kathiann M. Kowalski has written 25 books and more than 650 articles, and writes often on science and policy issues. Prior to turning to journalism full-time, she practiced law for 15 years with a large firm based in Cleveland. * From the weekly news magazine SEJournal Online, Vol. 3, No. 14. Content from each new issue of SEJournal Online is available to the public via the SEJournal Online main page. Subscribe to the e-newsletter here. And see past issues of the SEJournal archived here.